Southern Snow specializes in commercial shaved ice machines that produce fluffy snow. Some machines advertised as shaved ice machines do not produce fluffy snow. 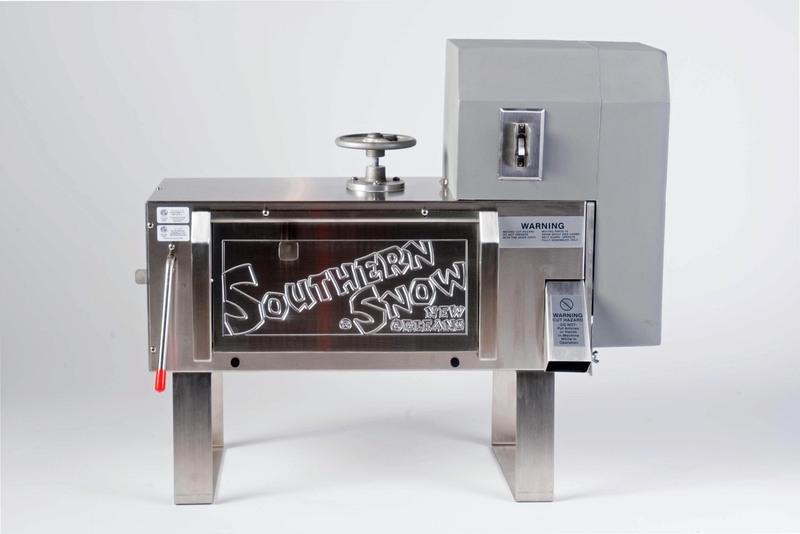 Southern Snow produces the Southern Snow shaved ice machine which is the horizontally fed block ice New Orleans style commercial ice shaver. The other commercial shaved ice machines sold by Southern Snow are manufactured by Hatsuyuki, Swan, and Fujimarca. These three commercial shaved ice machines are sometimes called Hawaiian Shaved ice machines. These machines produce the Hawaiian shaved ice style found all over Hawaii. Hatsuyuki of Japan exports two commercial ice shaving machines that are for U.S. markets. Each model has an NSF (National Sanitation Foundation) sticker required for commercial operation in some states. The Hatsuyuki HF-500-E commercial shaved ice machine produces Hawaiian style shaved ice from a block of ice. The Hatsuyuki HC-8E commercial ice shaver shaves cube ice. The Hatsuyuki HC-8E is the only cube shaver that can produce fluffy snow. Paddles push cubes over a superior blade that is adjustable. There is no pressure on the ice as the ice cubes are pushed over the blade. This is in contrast to a sno-cone machine that forces ice through the blade and produces chipped ice. With sno-cone machines, any water from melted cubes goes into the shaved ice. The Hatsuyuki HC-8E has a drain for melted cube water in the center of the HC-8E. Thus, the water leaves the machine away from the snow chute and not into the shaved ice. The HC-8E is a perfect add-on for a coffee shop or restaurant needing extra sales in the afternoon. 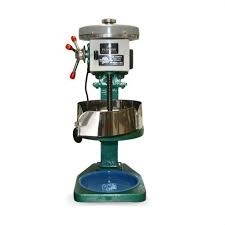 The HC-8E is great for commercial shaved ice outlets in areas where there is no availability of block ice and there are no outlets close by that have the commercial block ice shavers. The HC-8E produces shavings at about half the speed of the Hawaiian block ice machines. 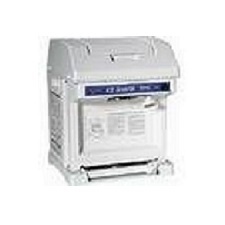 The HC-8E produces 95% fluffy shavings and 5% chip ice that will not be noticed. 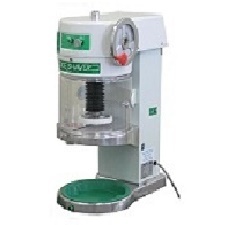 The Swan SI-100E is a Japanese commercial block ice shaver that is NSF certified. It has an adjustable blade like all of the Hawaiian shaved ice machines. The Fujimarca MC-709SE is manufactured in Taiwan. It is by far the most popular commercial ice shaving machine in Hawaii. An NSF sticker is not required in Hawaii for commercial operation. The MC-709SE does not have NSF certification. 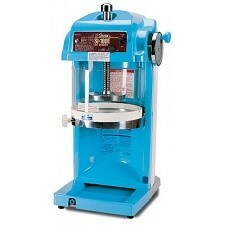 The Fujimarca is the most durable and inexpensive of the Hawaiian commercial shaved ice machines. Please call Toll-free 1-800-393-8933 or Local 504-393-8967 to purchase one of Southern Snow's professional grade shaved ice machine.